​Each year, 1 to 2 million U.S. children seek treatment for mild traumatic brain injury, which includes concussion from sports and other causes. A study in the November 2018 issue of Pediatrics, "Persistent Post-Concussion Symptoms after Injury," looks at how family environment, age, gender and demographics affect children's recovery from symptoms related to concussions. Researchers enrolled 347 children with either mild traumatic brain injury, complicated-mild injury, or orthopedic injury in a cohort study to monitor their recovery from mild traumatic brain injury. They found that being female, having a pre-injury mood problem, a lower family income and family discord all contributed to ongoing post-concussion symptoms – sometimes for as long as a year after injury. Results from the study showed that as many as 25 percent to 31 percent of children enrolled still experienced post-concussion symptoms such as difficulty concentrating, headache and irritability, one year after injury. The authors note that these symptoms negatively impact functioning at school and home. 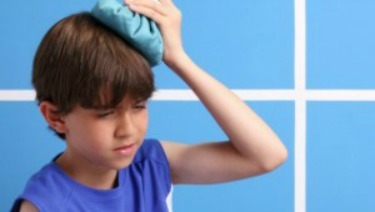 The authors conclude that because symptoms appear over time - with physical symptoms appearing first and cognitive and psychological symptoms developing later - that physicians should consider a child's home environment and mental status prior to injury to help determine which children should be followed more closely for extended post-concussion symptoms.